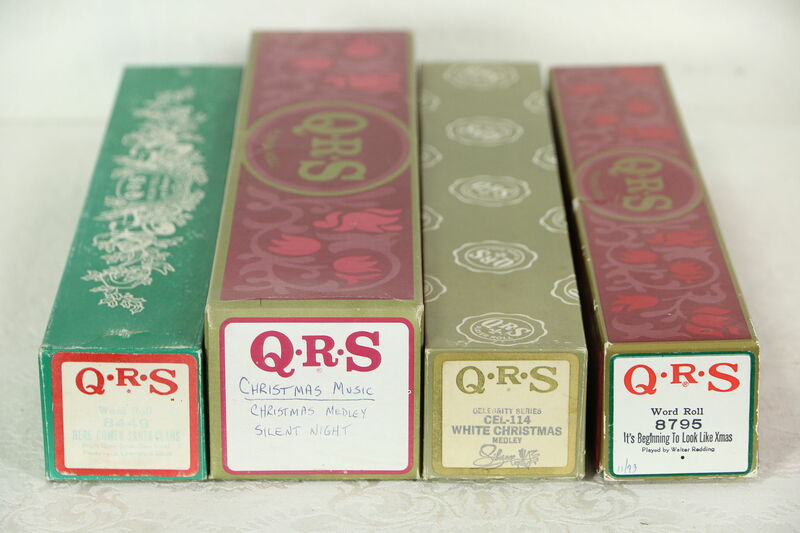 A group of four Christmas player piano rolls of various age and condition include Silent Night & Medley, Here Comes Santa Claus, White Christmas, and Its Beginning to Look a Lot Like Christmas. Please view 3 photos at full screen size for best detail. Related items in photos are sold separately.